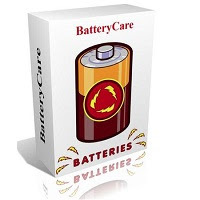 BatteryCare - a program that helps extend battery life of laptops and netbooks. BatteryCare can analyze the running processes and pause most energy and optimize the use of graphic effects, you can add an extended alert, get full information about the battery, quickly change the plan of energy. In addition, BatteryCare monitors the temperature of the processor and hard drive and displays information about it via the icon in the system tray. Improvement: New Internal Core Engine. Memory optimization for faster and more stable platform. Fixed long term execution issues, such as icon disappearing or random errors after a few days. Updated the Intel TJunction file, now all Intel Core / Atom / i (1st and 2nd gen) series CPUs are supported. Fixed the popup quick info blinking bug. Fixed bugs in CPU and HDD temperature reading. Fixed a bug that caused the program to run twice after the auto-update. Numerous under the hood bug fixes.